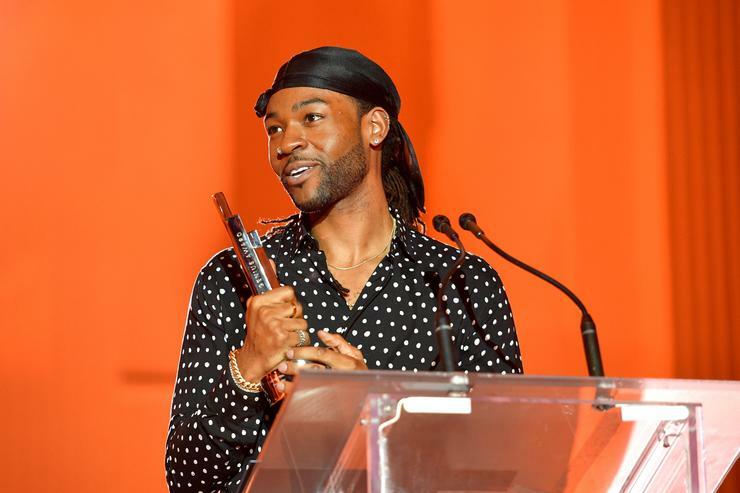 Some of PartyNextDoor's best tracks aren't on his two albums. This morning, OVO's PartyNextDoor came out of nowhere with a new track called "Kehlani's Freestyle." Although unexpected, the move isn't out of the ordinary for PND, who has somewhat of a habit of sharing one-off tracks on a whim. The 23 year old singer already has two great self-titled albums to his name, both made up of hypnotic, sexually-minded bangers, but especially after the release of PN2 last year, many complained that he leaves some of his best work off of albums. Here are PND's five best tracks that you won't find on his albums (or Drake's albums, for that matter). Sure, it may be Party's newest track, but "Kehlani's Freestyle" better than the majority of the PNDCOLOURS EP he dropped at random back in December. It's a moody one, with PND keeping his sung vocals relatively straightforward over a beat that's a low-key mix of haunting and soulful qualities. He's usually at his best when singing about the downside of relationships, and it sounds like his recent one with Kehlani provided plenty of fodder for his lyrics. The sure highlight of PNDCOLOURS, the Travi$ Scott-assisted "Jus Know" has Party making his voice sound weirder than ever, and coming out sounding stronger because of it. Behind pitch shifting, echo, reverb and auto-tune, he almost doesn't sound human, and it's hard to make out what he's saying, but that adds to the song's otherworldly vibe, as does Scott's presence on the track. He comes on with about a minute left to go, sounding like a satellite bound on a flight to the outermost reaches of the solar system, as cold as PND's voice is warm. These guys' more recent collab "No Feelings" also hints at great chemistry, but they nail it on "Jus Know." Originally a track called "Let It Rain" that was included on his compilation The Jahron B. Collection, this one was remixed by PND and Rochelle Jordan last March. PND hasn't given us many opportunities to her him duet with female singers, but "RAIN" makes us wish he would. Despite its title, this one's a bit brighter and less depressing than much of his other stuff, with a buoyant beat giving way to bittersweet-but-catchy hook. The first of two main culprits for the "Why didn't you put this on PND2?" complaints from many fans, "Persian Rugs" finds Party creating greatness out of very minimal ingredients. The whole song consists of a Wurlitzer keyboard lick (reminiscent of the one from Frank Ocean's "Crack Rock"), a simplistic beat and PND's smooth, subtly harmonized vocals. Whereas other guys in his lane like The Weeknd often rely on studio wizardry and pyrotechnics to craft entrancing songs, here Party shows us that his voice, a melody and a beat are all he needs for greatness. Deemed good enough by Drake to merit his own remix, "West District" might be the best PND song that isn't on a Drake album ("Wednesday Night Interlude" stan here, in case you haven't already guessed). You can really hear how Party's style began influencing Drake, both vocal- and production-wise, around this time last year, with "West District"'s spacey, expansive thump sounding a hell of a lot different than anything on Nothing Was The Same, but pretty close to a few If You're Reading This It's Too Late cuts. To date, it's surpassed 13 million Soundcloud plays, and might come to be one of the defining songs of PND's career.